Microsoft has released a preview version of Windows Server 2012 R2 Essentials that allows it run as a primary server that aligns with others as needed. It marks a notable change from earlier versions of Essentials – Microsoft's small business version of Windows Server for up to 25 users and 50 PCs and tablets – which didn't make it possible to have multiple servers in the office. The new version can also be installed as a virtual machine, which frees it from the previous requirement to be run directly on a server of its own. 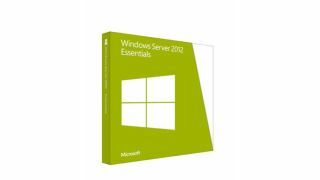 Essentials can be installed on the Standard or Datacenter editions of Windows Server 2012 R2, making it possible to run for more than 25 users and 50 devices at an extra cost. This raises the prospect of consultants and service providers offering Essentials as a service for small businesses that need a server but don't want the hardware in their office. Microsoft says it has also improved the remote connection for managing Essentials; an IT administrator can use the same software to connect to multiple servers, and if they are connecting from a domain-joined PC they can set an automatic connection to a virtual private network. If Essentials is running on a server in a branch office, it is also possible to use the BranchCache feature to speed up file transfers and web browsing between two networks. Other features include the ability to manage storage on more than one server from the same dashboard on Essentials; a function to create user groups to give different permissions to people with different roles; the ability to manage Office 365 accounts and SharePoint libraries; and to use Exchange features for managing smartphones and tablets. Details are not yet available on when the final version will be available of how much it will cost to upgrade.